I am finally tackling a project that has been on my “to do” list for months, and now that it is done, I’m kicking myself I didn’t do it sooner.. Since it LITERALLY took me less than 15 minutes start to finish. I added beadboard paneling above my fireplace mantel shelf to give the whole thing a more custom ‘built in’ look. They were pretty awful. The oak, the brass on the fireplace screen, the odd floating mantel shelf. So a few years ago I trimmed them out and painted them. I also spray painted all the gold on the fireplace screen, and brought it out of the 90s. And so for 2 years, it sat, sat, sat. Like this. The problem was that every time I looked at it, the 80s orange peel texture, that is on every wall and ceiling in my house (sigh!) would be obvious. And I HATED IT. 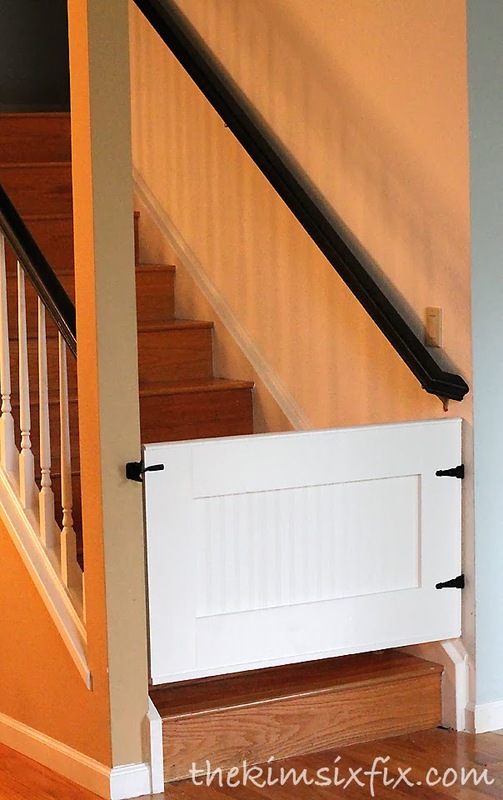 So when I built the DIY baby gate for my stairs, and ordered this beadboard wallpaper to use on it, I knew I had a solution. That paper had been on the gate for more than a year, with grubby fingerprints and even marker drawings, and it held up great. This is the “foam” thick paper. I have used the thinner more cardboard like paper before on my open shelving in the kitchen and I have to say THIS IS THE KIND YOU WANT. It is made of vinyl and holds up great. Plus it is only around $20 for a 32 foot length (that is about 2 feet wide). Plus it is paintable. So you can make it match any trim. I just cut it to length, wet it down in the sink and stuck it to the wall. Seriously, it took about 5 minutes. Now it looks like part of the wooden “built in” and not just a section of the wall that is painted a different color. It is hard to see the difference in photos as much as it is in person. But it really does look great. The same can’t be said for the rest of the room. I always think it is funny how bloggers have these perfect little vignettes in their houses.. if you could only see BEHIND the camera! So if you have been considered a textured wall treatment, don’t put it off. 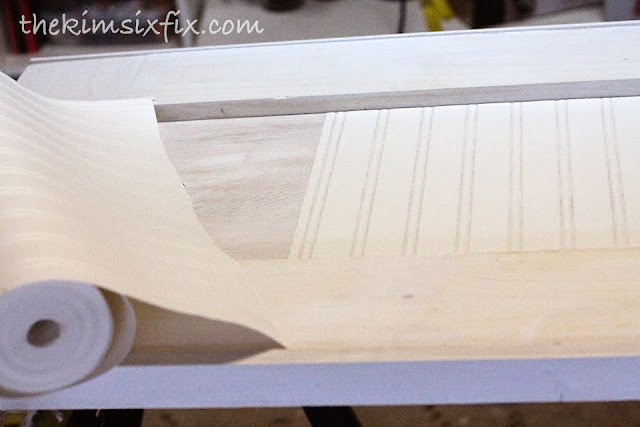 This beadboard wallpaper is crazy easy to use, and holds up great! What are your waiting for?